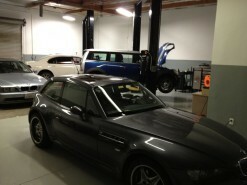 At CSmotorwerks we specialize in BMW only, in Westlake Village, CA. Factory trained by BMW NA. From maintenance, mechanical repair, and electrical repairs, no job is too small, and no job is too big. CSM is a BMW bumper to bumper service shop. 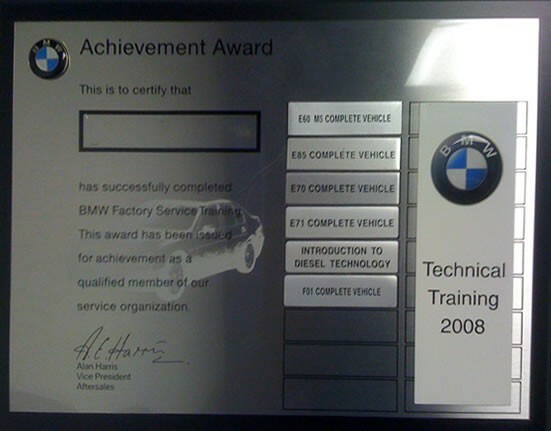 We are equipped with the knowledge, latest diagnostic tools, training, and resources to fix your BMW. We are an alternative to high dealership prices without compromising quality. Give us a call to schedule an appointment, or if you have any questions regarding your BMW. We are located in the Westlake Commerce Center. Great personal service from an experienced BMW/Mini specialized mechanic. Pricing is much better than the dealer. I've been bringing my BMW here since the original warranty expired. Excellent and honest BMW service at fair prices which speaks for itself! Give Chris a call next time you need a great mechanic. You'll be glad you did! Excellent shop. I highly recommend them for their service, work ethic and integrity. 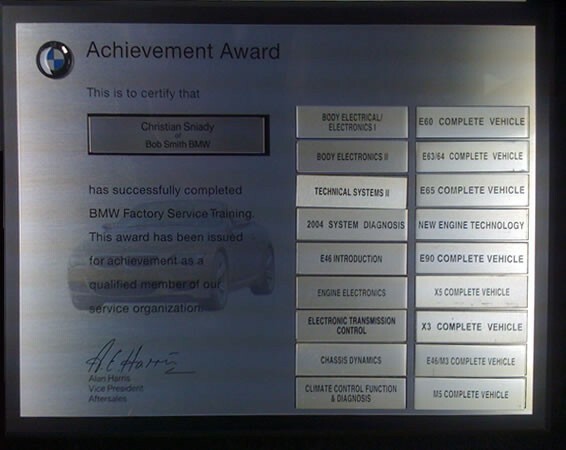 Christian is a certified BMW master technician. Go to CSMotorwerks for your BMW, they won't do you wrong. I almost don't want to share because I want to keep this prize a secret. I've been using Chris's shop, CSmotorwerks, for more than five years. I have found Chris to be extremely knowledgeable about BMWs, more so than any other shop I've tried. He takes the time to explain the repairs and is good about providing options to keep costs down. It can be hard to find a good BMW shop and I am more than pleased to provide this testimonial. A year ago I moved to Simi Valley from the San Fernando Valley. I had a great independent BMW shop I used, but I thought I could find another great shop in my new neighborhood. I took the recommendation a person who owns BMWs and has lived in the area for a long time. I tried the shop, but I had to make too many return visits to resolve issues with newly installed parts, and some other issues I didn't like. Next, I tried a nearby BMW dealership. I was also greatly disappointed. So far, it was two strikes and I was thinking of just returning to my old independent shop in spite of the drive. Before giving up, I decided to talk with some other BMW owners in Simi, stopping to talk with them on the street or in parking lots. I received three recommendations for Chris Sniady at CS Motorwerks, in Westlake Village. I did some internet research and liked what I saw, and decided to give Chris a try. Best decision I have made since moving to Simi. Chris is knowledgeable, friendly, and his prices are reasonable. He has worked on my car several times now, including an oil change, installing new motor mounts and new shock absorbers, plus helping me working out some issues with my headlights. If you are looking for a place where you can trust the person to care for your investment, look no further and go see Chris at CS Motorwerks. CSmotorwerks is by far the best independent BMW shop. I've been Christian's client ever since he opened the shop in Westlake Village. 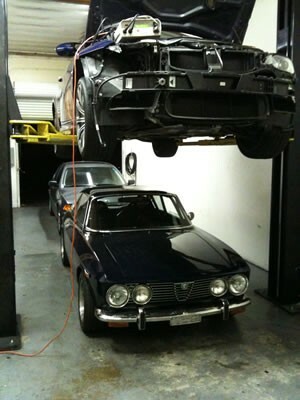 Maintenance work or repairs are performed better then at the dealership, faster and at very fair prices. As other reviewers stated, it is worth the extra few miles drive to get your BMW serviced by a highly trained specialist. Many issues with my 740i were addressed here: power steering, steering components (arms, bushings, etc), cooling system (radiator, expansion, water pump, hoses, etc), air intake (gaskets, MAF, sensors, etc),belts, brakes, oil changes, light housings, exterior trim installation, windshield gasket, etc. Everything done right the first time. Very highly recommended. CSmotorwerks is hands down the best BMW shop to go to. I have had several things done to my 2005 325ci over the last 2.5 years including Inspection I service, new starter, front bushings replacement, body control module replacement, diagnostics etc. The dealerships have always given me the run around and talked to me like I didn't know what I was talking about because I'm a woman. Chris was very upfront and honest from the very beginning, he went above and beyond to resolve my issues and costs so much less than the dealerships. I trust Chris so much that I used to drive from Orange County 70 miles to have my car serviced there and I recently moved to the San Francisco Bay Area and now drive 400 miles when I come to southern California to have my car repaired because I haven't found a shop up here that I can trust yet. Chris is always available to answer my questions and give me great honest advice. I recommend everyone with at BMW to see him even the ones that also live far away because it's WORTH it! I have a BMW 325i, I took it to a local dealer to change a sensor and they wanted to charge over $2,000! I began to call local independent shops and I ended up going with Chris at CSmotorwerks! He charged half the price and my BMW runs so much better. I will always recommend Chris to anyone who needs repairs on their BMW! Extremely knowledgeable in dealing with his profession. He is straight forward and is able to explain the repairs to his customers without confusion! I have a BMW X5 that needs a window repair and inspection II done. I have been searching on line and checking with my friends and finally decided to try Chris at CSmotorwerks based on the feedback above. I have to say we can't be happier with Chris. First of all, he is very up front and honest person with what he is going to do and how much it is going to cost. All the work was done in one day as he promised. When we picked up the car, he spent at least 15 minutes to explain everything to us and some issues he identified for our car and what his suggestion is...We feel like we can totally trust him and will definitely be back! Just found CSmotorwerks. I had taken my 2003 z4 to two other mechanics, one in Westlake also another shop where he kept the car for 2 days and didn't have time to look at it. The convertible top wasn't working, Christian got it fixed in 2 minutes. If you have a BMW there is only one place to take it, that is CSmotorwerks, he cares and knows every in and out about BMWs. CSMotorwerks is a great place that knows what they are doing! I will refer everyone I know who has a BMW and is sick of paying dealer prices for service once the warranty runs out. The price for an oil change is less than half of what the dealer charges. I've brought my 2003 X5 to Christian at CSmotorwerks a couple times now and i am always completely satisfied. He knows what he is doing and he gets the job done in a good amount of time. The costs are a great deal cheaper than other shops or dealerships around. Definitely recommend to anyone who needs BMW work done. Excellent shop, work and prices. CSmotorwerks is without a doubt ....very highly recommended. I found Chris to be knowledgeable about every aspect of my 528I BMW. After taking my car to two other mechanics over the past 2 months because of a starting issue. They charged me for 2 repairs that were not needed and I still had the same problem. Chris diagnosed the problem, fixed it quickly and than followed up with a phone call a few days later to make sure that all is well!!! Integrity, honesty & fairness seems to be how Chris runs his business. This is why I will be giving him all of my BMW business. So very happy I found you Chris, thanks again. After reviewing many options to take my 645 CIC for break pads, flushing and light diagnostic care I decided to visit CSmotorwerks. 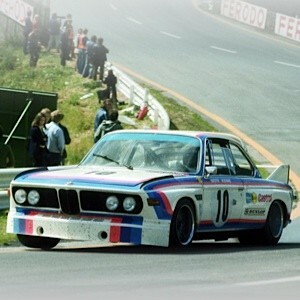 It's fairly simple that once you meet a fellow BMW enthusiast you can understand the capacity to get any job done. I no longer consider taking it to the BMW dealer for service. CSmotorwerks is highly recommended if you want personal attention to detail. Thanks, Chris! 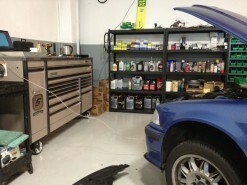 This is truly a small shop but it means he can dedicate all his time to your car. I had him do head gaskets on my 1998 740il. He saved me hundreds of dollars over the dealer and a couple other indy. shops! I just wish i knew about CSmotorwerks for my last car that I had to donate to the goodwill because I couldn't afford to have it fixed. Well it has been a couple weeks since it was finished and it's still running better than it ever did! Thanks again everyone at CSM. I've been taking my BMW to Chris for about a year now. He's a certified BMW technician that knows what he's doing. It's nice to have a guy to take my 535 to that knows it in and out without paying a ton of money to a dealership. It's hard to find an honest mechanic, and he's definitely one of the few out there. I refer everyone I know with a BMW to CSmotorwerks. I have a m3 that was due for a inspection 2 service, and check engine light was on. I called a few shops around the valley, and felt comfortable with Christopher at CSmotorwerks. When I arrived I was a little skeptical. It is a small one man shop operation, but Christopher seemed really knowledgeable about BMWs. He has about 30 BMW certifications from BMW so I figured I would be safe. He had the car done the next afternoon, I was shocked at how fast he performed the service. Well I payed him 800 dollars for the inspection, and I truly felt a huge improvement. Engine runs so smooth, engine no longer ticks, and acceleration seems to be restored. I'm a happy camper. Will definitely be back.